Old constraints such as specialization in manufacturing skill set and tooling are going away, new technologies are being added rapidly, and the type of employee needed in manufacturing is going to drastically change, according to Diamandis. New technological capabilities will enable manufacturers to customize everything while turning consumers into inventors. And as price points decline while accessibility increases, manufacturing juggernauts and early-stage startups alike have infinite possibilities ahead. 1. Mass customization: Fixed costs will begin to reach variable costs in the production sphere, meaning companies will no longer fabricate millions of the same product or part. Customer data-driven design will allow for cost-effective, tailor-made commodities and one-off production items. 2. Democratized Invention: Incubator studios and fabrication equipment labs are jumping onto the scene. Flaunting AI-aided robots and swarm 3-D printers that work overnight, these urban workshops basically serve as new testing grounds — the physical hands for digital designs. Whether in-house or entirely outsourced, design-to-production technologies allow anyone to invent. This will eliminate operational costs, fabrication equipment, prototyping, tooling, and far-flung production plants. 3. 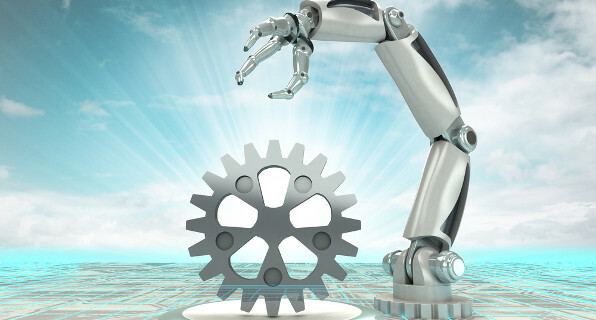 Smart and Autonomous Factories: Industrial IoT (IIoT) and smart factories are ushering in a new era of autonomous production, severely reducing recalls and freeing corporations to expand product lines. Artificial intelligence (AI) will go from merely automating production to custom configuring products to meet individual demands. The greatest game changer of customized manufacturing at-scale is 3-D printing. Previously a niche and prohibitively priced tool, 3-D printing is hitting its exponential growth phase, says Deamandis. By 2021, IDC analysts expect 3-D printing global spending to be nearly $20 billion. MX3D, a Dutch company, is using its six-axis robotic arms to 3-D print the Arc Bicycle, a futuristic bike with steel lattice frame. Potentially the greatest breakthrough in its manufacturing process is MX3D’s multiple-axis printing capability, which enables printing from any direction in mid-air. While conventional 3-D printing requires some form of support for objects as they’re printed, multi-axis printing technologies almost entirely eliminate this dependency, opening up incredible new structural possibilities. Smart products and electronics no longer have to be manually embedded with circuitry. Using a wide array of conductive inks, manufacturers can print circuitry directly into their products all at one time with conductive inks. With high thermal stability and at only a few microns thick, evolving conductive inks have the potential to revolutionize hardware production. Cost-effective 3-D printing takes manufacturers directly from design to production, eliminating lengthy design processes, multi-stage prototyping, tooling costs, and mass production, where design becomes adaptable and production is expedited. With Democratized platforms, everyone can be an inventor via newly accessible CAD-like design software and easy-to-use interfaces. New hardware studios and accelerators are springing up daily, eager to collaborate with digital startups and designers by providing the physical building space and manufacturing capacity for now unencumbered entrepreneurs. This allows any manufacturer wanting to build any product to become completely dematerialized. Companies like Playground Global want to take care of material constraints like engineering, fabrication, supply chain management, and distribution. Large companies like 3D Systems and Stratasys are also embracing distributed manufacturing. With its Continuous Build 3D Demonstrator, Stratasys supplies 3-D printers that work simultaneously and are centrally controlled through a cloud-based architecture. With some three billion new minds joining the web as internet connectivity blankets the earth, now we can ask: what will today’s new inventors build? Crowdfunding sources like Kickstarter look to give entrepreneurs a leg up through initial finance. For established corporations with high production quotas, industrial IoT, AI, collaborative bots, and new technologies like Li-Fi, are the next frontier. Manufacturers are now using the Internet of Things, whereby device connectivity allows smart products to communicate seamlessly and automate cumbersome tasks. With new sensors, ML tools, and inspection drones coming onto the market, not only can manufacturing equipment correct for errors instantaneously, but production will conform to changing demands in real time. Smart factories will manufacture smart products through machine-to-machine (M2M) communication with data transfer between smart bots, with the goal of adapting to workflows in real time. Aiming to eliminate the risk of recalls — one of the most costly and dreaded catastrophes for big manufacturers — AI is coming to the rescue. Landing.ai now produces machine-vision tools that can find microscopic defects in circuit boards and products hidden from our visual range. With precise on-site quality analysis, errors are communicated immediately, and IIoT-connected machinery can halt any output before it ever becomes a liability. But what about defective machinery? As predictive analytics are engineered to near perfection, machine learning techniques can detect abnormalities and risky indicators long before they cause issues. Yet as cloud-connected, collaborative machines begin managing themselves, what’s to stop fully automated factories operating in the dark or without heat? Potentially nothing. Voodoo Manufacturing is massively disrupting 24/7/365 production with Project Skywalker. Geared with nine mounted 3-D printers and a huge robotic arm, Voodoo’s 3-D printing farms incessantly print parts, and a Universal Robots UR10 arm unloads products as instructed. In the near future, Voodoo estimates that a single arm will be capable of tending to approximately 100 printers. Diamandis sees a staggering convergence of 3-D printers, collaborative 3-D printing farms, co-robots, robots that manage 3-D printers, 3-D printers that build robots… and this is just the beginning. Smart sensors now convert data, communicate with fabrication machines, and turn off devices when performance or safety is at stake. IIoT allows us to analyze production quotas, do predictive maintenance, and input designs remotely. We’ve seen a skyrocketing software industry bringing millions of jobs and brilliant services to our economy. As physical constraints to fabrication disappear and design platforms abound, we are on the verge of a second boom.